Darwin was a part of Micah from the beginning, and his family lives in Villa Linda Miller. 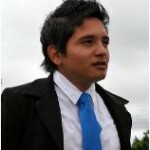 He graduated from Zamorano University in Honduras with a degree in agricultural engineering. 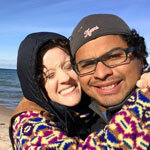 After graduation he worked in the Far East for a Honduran agribusiness He married Bethany in April 2014 and they live in Michigan. He has a company named Theodore’s Coffee that imports, roasts, and blends coffee. They donate a portion of their sales to The Micah Project. Marvin was also a part of Micah from the beginning. After his high school graduation in 2004, he attended Missouri Baptist University as a business administration major. He graduated with his MBA in April of 2013, and married in September, 2014. David was another original Micah resident. 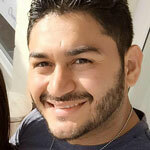 After his 2004 graduation, he attended college in Costa Rica, studying psychology. 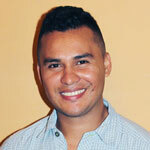 He graduated and returned to Honduras, where he has worked for several ministries. 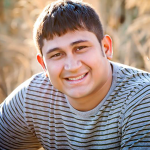 He is currently working as a night caregiver at Micah and continues to study psychology. Jarvin was also a part of the first group of Micah guys. After high school graduation, he did an intensive English program at Houston Baptist University, as well as in the psychology program in Costa Rica. He is now finishing his degree while working and living independently close to the Timothy House. Olvin was one of the first Micah House residents. He studied for two years at Missouri Baptist University after his 2004 high school graduation, before transferring to University of Houston. 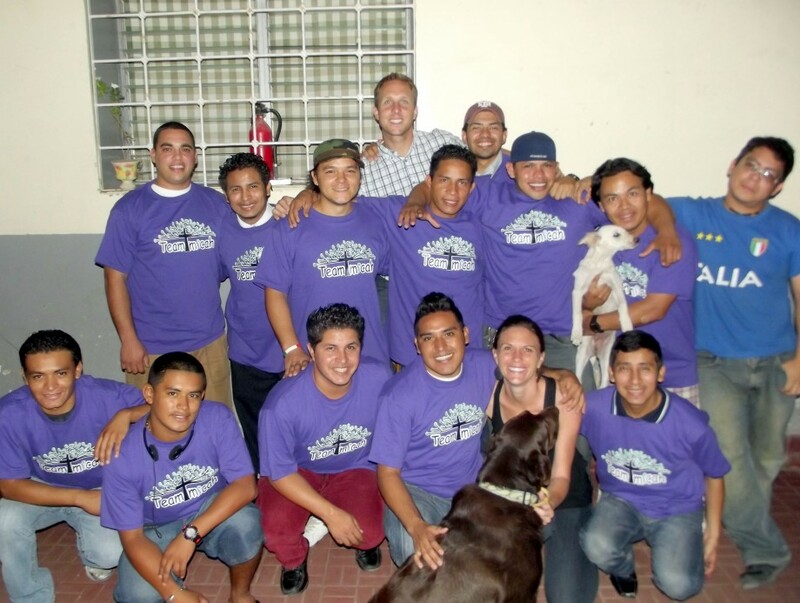 Following his college graduation he returned to Honduras, where he first worked for another organization before taking the job as the Construction Manager at Micah 2.0. He was married in September 2014 and he and his wife Cesia worked with Jeremy as Timothy House coordinators. In 2015, Olvin and Cesia moved to Egypt and their son Mateo was born on January 1st 2016. Also one of the original Micah boys, Tino graduated from high school in 2004, and then studied at Missouri Baptist University as a business major. 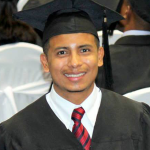 Following his graduation, he returned to Honduras and started his full-time job at a pharmacy. 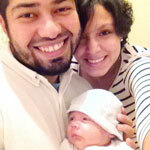 In 2011 he married Noralina in a beautiful ceremony at their church, and they now have a young daughter named Genesis. 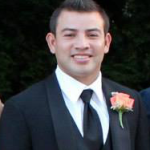 Miguel was also part of the first group of Micah boys, and he graduated from high school in 2005. 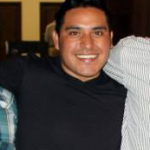 After taking college classes both in Honduras and in Missouri, he is residing in Tegucigalpa. He is working and is very involved in his young sons' lives. Another original Micah boy, Danilo graduated from high school in 2005. He was part of music ministry training programs in Mexico and Costa Rica, and has a one-year seminary degree from a school in Honduras. After working for several other group home ministries in Tegucigalpa, he spent three years as the night caretaker for the Micah boys Monday-Friday. 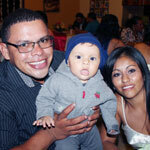 He now lives with his wife and baby boy Jireh in a small village about 4 hours from Tegucigalpa. Oscar became part of the original Micah boys as his single mom lived right around the corner. Following his 2005 high school graduation, he attended Missouri Baptist University as a business major on a soccer scholarship. Following his graduation, he returned to Honduras, where is now the coordinator for all North American teachers at the International School in Tegucigalpa. 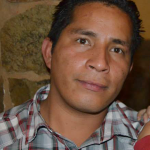 Edwin came to Micah in 2001 from another children’s home in Tegucigalpa. He graduated from high school in 2005 and attended a local university as an architecture major for several years. He also worked as part of the team at the Micah Tech school, teaching welding and carpentry. On February 20, 2016 he married Jennifer Sanchez and he lives independently working as an English teacher at a local school. Fredy came to Micah from another children’s home through the help of his brother Tino in 2003. Since his 2007 high school graduation he has been studying business in a local university. 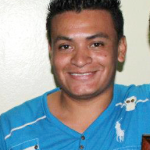 He graduated from a local university in 2013 and is now living independently in Tegucigalpa. Olvin had a difficult childhood and was part of street and gang life before he came to know Christ. He was then only a part of the Micah’s educational program from seventh through twelfth grade. After his 2007 graduation he studied for several years at a local university in the tourism business program. 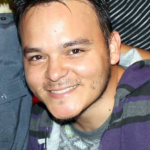 He currently lives with his family and is looking for a full-time job while volunteering with our street ministry. Daniel came to Micah in 2005 from another children’s home, to finish his last two years of high school. After his 2007 graduation, he began studying at Zamorano University in Honduras, where he graduated four years later with an agricultural engineering degree. After helping develop landscaping for Micah 2.0 he is on an internship with an agriculture business in Iowa. Jerson grew up in the Micah neighborhood with many family challenges, and he came to live at Micah in 2003. After his 2007 graduation he took some college classes, then made the decision to complete a six-month Christian addiction rehab program. He got married in 2015 and he and his wife Estefania are expecting a baby in early 2017. Charly was Daniel’s younger brother, and Micah supported him in his last two years of high school while he lived with their mother. After his graduation, he lived at the Timothy house for several years, while enrolled in an undergrad dentistry program. He was shot and killed while riding his motorcycle in May 2016. 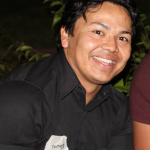 Hector became a part of Micah after aging out of the program at the Covenant House center for street kids. He originally the staff with new young Micah boys from the streets in 2007, and then was able to finish high school and graduate in 2010. He worked as the discipleship coordinator of a new ministry to street kids in the coastal Honduran city of La Ceiba and as part of a street kid ministry in Brazil. He is now working as the street ministry coordinator for Micah. Darwin was the first boy to come straight to Micah from life on the streets, back in 2001. As Jarvin’s younger brother, everyone in the ministry came together to help him move toward education and a better future. His 2005 graduation from sixth grade was a celebration of transformation. In 2008, at age 20, Darwin transitioned into independent living. Hauner is Oscar Amaya’s younger brother, and a special part of the Micah Project. He has never been a resident of Micah, but has always lived nearby with the support of the ministry. Hauner attended a local high school, and celebrated his graduation with a special tourism high school degree in 2011. Since then he has worked in a hotel in Tegucigalpa, attended classes at Portland Community College and interned at Wheaton College's Honey Rock camp in Wisconsin. 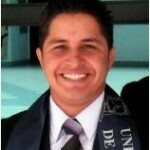 He currently lives in Houston, Texas studying at Houston Community College in the hotel and hospitality program. Yoel (pronounced Joel) moved in to the Micah House in January 2010 at the age of 15. We met him through his younger brother Axel, who we met living on the streets in 2008. Yoel’s dad was in jail, and his mom lives in a run-down motel on one of the most dangerous blocks of the market area. While his younger brother Axel fled this dismal environment to the streets, Yoel stuck it out and managed to keep advancing in school. 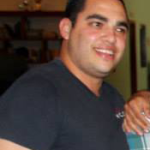 When we first met Yoel in 2009, he showed a lot of desire to keep moving ahead in life. He graduated in November, 2014 with Pedro Luis and Moises. Get to know Yoel a little better through this video. Pedro has been a part of the Micah Project since 2002, when he came to us from a difficult childhood on the streets surrounded by violence. 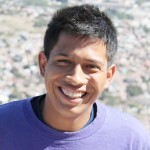 Pedro is an integral part of Micah, and it has been a joy to watch him grow and learn. He is very gifted mechanically and also raps and writes music. He graduated from high school in 2008, and in November of 2013 he graduated from a local university with a degree in engineering. After graduating, he continued to work with the firm where he did his internship. In September, 2014, he married his longtime girlfriend, Maricela and built his own house near Micah 2.0. In June 2015 their son Dylan was born and Pedro is enjoying this new phase of life as a father. After losing his parents as a young child and growing up in a children’s home, Oscar came to Tegucigalpa in 2004 to live with a distant relative. He found the Micah Project and quickly recognized the opportunity for family and a better future. After graduating from high school in 2008, Oscar attended a six-month YWAM discipleship school in Switzerland, Morocco, and Spain, before beginning community college classes in Houston in the fall of 2009. After two years of living there with the Herbold family and doing well in classes, he was awarded a full-ride scholarship to Wheaton College in IL to study psychology. The Micah Project first met Marvin in 2005, and he became a part of the ministry officially in 2006. Marvin had grown up with his father about an hour outside of Tegucigalpa, but it was an increasingly abusive situation, and he fled when he was 14. God had a bigger plan and brought Marvin to Micah. 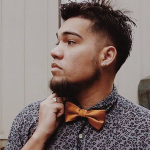 His is very gifted musically and as a teacher, and after his high school graduation in 2008, he was part of a music ministry training course in Costa Rica. 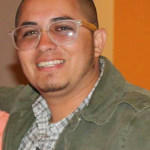 He then taught Bible at the International School in Tegucigalpa for nearly two yeas, before beginning to study graphic design at Portland Community College in the fall of 2012. José came to live at Micah in 2002, after a difficult childhood on the streets with his younger siblings (they now live in another residential program). 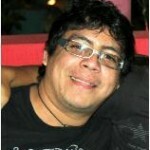 Jose is introspective and enjoys writing, especially songs. He is also a gifted soccer player. 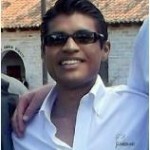 After his high school graduation in 2007, José lived in the Timothy house for several years, before relocating to Costa Rica to attend the Universidad Latina. He graduated with a degree in psychology in 2015 and currently works as a nighttime caregiver at the Micah house with hopes to begin a career in counseling. 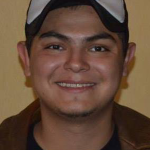 Brayan joined the Micah educational program as a junior in high school in 2009. He had grown up in another home for street kids without a program for older boys, and they asked if he could join the Micah Project officially after graduation in November of 2010. He has worked and pursued different opportunities, such as a YWAM discipleship school in Costa Rica. In 2014, he graduated with a degree in graphic design. 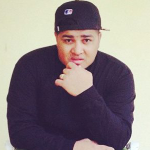 Chavez, as the boys call him, is mentor to many of the younger Micah guys, especially in the area of music. He has helped them make many of their music videos, which you can see on our videos page. 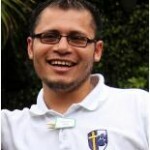 Juan Carlos came to the Micah Project in 2005 at age 13. He spoke English as fluently as Spanish, because he had grown up with a missionary family, and spent several summers in Ohio. Juan Carlos is intelligent and good at expressing himself. After struggling for a period of time, he left the Micah Project at age 18 and lived independently for a time, before coming back and entering the Timothy house. After completing high school, he got a job at a hotel and transitioned into independent living in September, 2014. Currently he is raising support to attend a discipleship training school in September 2016. Click on his name to see how you can help. For updated information about any other young man who has been a part of the Micah Project residential or educational program, please contact us at micahbells@yahoo.com.